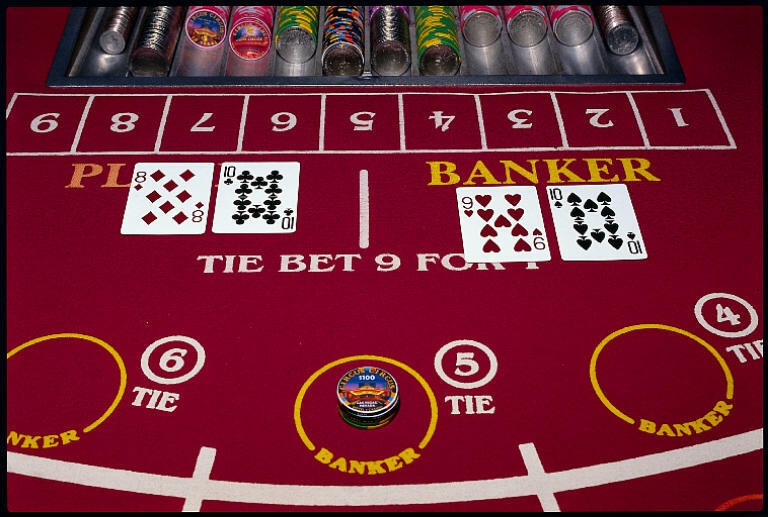 Baccarat is recognized as the grandest of all table games. Baccarat enjoys popularity worldwide, from Asia, to Europe, to Atlantic City, and to Las Vegas. A number on a table layout corresponds to each seat position around the table. Five seats on each side are available, numbered 1,2,3,5, 6 on the low side and 7, 8,9,10, and 11on the high side. On a standard Baccarat table, a crew of Dealers includes two Base Dealers and one Stickperson. The Stickperson announces each hand as it is dealt and directs game procedures to the Guests playing on the table. The Base Dealers handle the payoffs. Unlike Blackjack, where each Guest plays their individual hand, the game of Baccarat is a community hand of two types: Player and Banker. 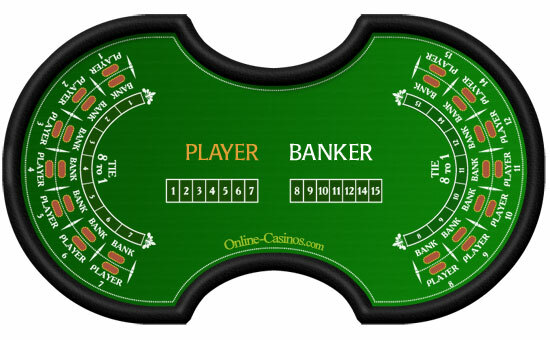 The term "Player" does not refer to the Guest, and the term "Banker" does not refer to the house. These terms are options on which the Guests may place a wager. Guests choose one of these options and at the conclusion of the hand, the side that is closest to the number 9 is declared the winner. A shoe of eight decks of standard fifty two playing cards is used to deal the cards. Tens, Jacks, Queens, and Kings count as "Nothing". (The word "Baccarat" represents "Nothing" and has a zero value, but will not be referred to as "Zero"). Ace is a 1 and all other cards are at face number value. Initially, each side (Player and Banker) receives two cards, and according to the rules of the game, a maximum third card will be issued. If the total value of the two cards equals more than 10, only the last digit will be used to determine the hand total. For example, Player hand is 4 - Jack - 2 and the Banker hand is 3 - 10 - 5. In Blackjack, the total of these two hands would be 16 and 18. However, in Baccarat, using just the last digits since the total is over 10, the value of the Player hand would be 6 and the value of the Banker hand would be 8. 8 is closest to the number 9, so Banker would be the winner. In addition to Player and Banker wagers, Guests may also wager on a Tie wager, in which both hand values equal each other. Tie wagers pay 9 for 1. A Pair Plus wager for each of the Player and Banker may also be made. A Guest may wager that the first two cards of a hand on either side match and are a pair. Pair Plus wagers pay 12 for 1. 1. When the Player or Banker has a natural, no additional cards will be drawn. 2. The winning hand on baccarat game will be defined as the hand having the highest point total (9 being the highest possible, 0 being the lowest possible). A Tie hand will be defined as both hands having the same point total. A losing hand will be defined as the hand having the lower point total.